My girls are at VBS this week, and I had great hopes of getting all of my curriculum set up for our next year while they are out of the house. Alas, I’ve been sidelined with more knee issues, and the subsequent use of crutches, bed rest, surgery, and SAINTS BE PRAISED, pain killers have slowed me down. A bit. But I still wanted to post this on time, so I can share what I’ve gotten done so far. Last year, we used Accelerated Christian Education exclusively for both Emme (4th grade) and Cailey (2nd grade). There were some wonderful things about it that I wanted to share. 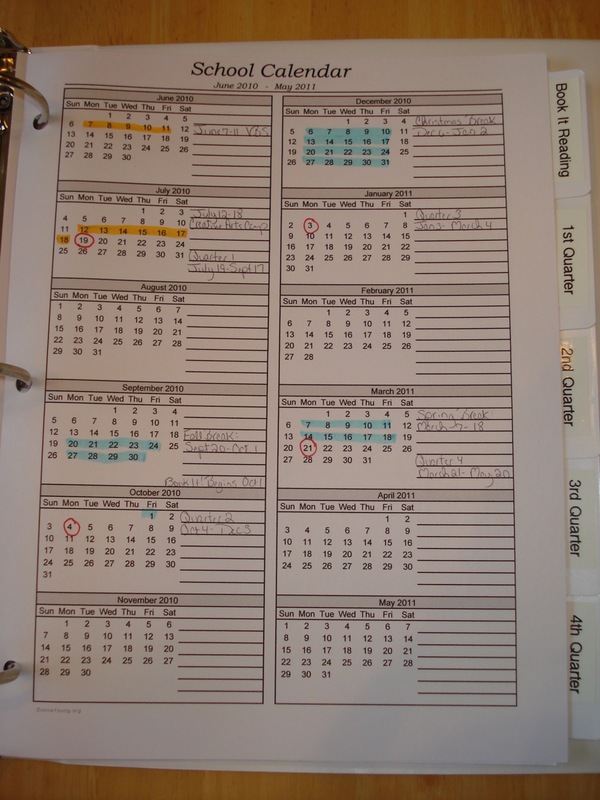 I loved that everything was set up for me, and that it was all contained in workbook form. Therefore no teachers manuals, yet I had answer keys. The subjects covered were Bible, Math, English, Word Building (Spelling), Literature and Creative Writing, Social Studies, and Science. I wanted to make certain there were no holes in the subjects I taught, and it was wonderful to know that everything was there, and infused with Biblical morals, scripture, and character. It also taught my girls to work independently, and they excelled. For the most part. That being said, I’m changing a few things this year. I do like what was taught with A.C.E., but I really felt that we need something to make (particularly) Social Studies and Science really come alive for the girls. Also, Emme (who is a voracious reader) really struggled with Literature & CW, and did not like the literature chosen. And on top of that, I’m adding Jensen to the mix as he is starting Kindergarten. I had been hearing about My Father’s World for years. I hesitated taking on a unit study approach because of the pre-preparation. (KONOS nearly killed me.) I admit freely that I’m a reluctant homeschooling mom, and do not possess the skills usually associated with successful homeschooling. Namely, PATIENCE, CRAFTINESS, and the ability to put together an awesome learning environment. And did I mention PATIENCE? But what I lack in those areas, I make up for in the desire to school my children at home. And I’m fairly organized by nature. And no one is in therapy, yet, so it’s all good. What I’ve learned is that My Father’s World is a unit study approach (so that I can teach all the kids certain subject simultaneously) that uses a lot of hands on materials, and good literature. And best of all, they completely lay out the materials and plan for you. (I couldn’t talk them into actually coming to my home and, you know, teaching my children, so the MFW is the next best thing. I purchased the Kindergarten curriculum for Jensen at VegSource (I love only the used curriculum portion of the site) used, and purchased the student sheets at our FPEA Convention a couple of weeks ago. I’ve been organizing his crate with file folders of the lesson plans, and generally wrapping my head around how MFW teaches. I really think he’s going to love it. 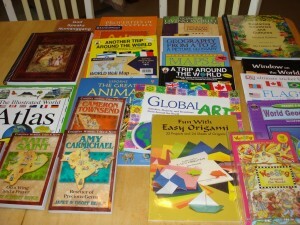 I had to purchase the girl’s curriculum (Exploring Countries and Cultures) new at convention, which nearly killed me. But I knew I wouldn’t be able to attend the really big huge used curriculum sale this year, and I was short on time. Also, I’ve learned by haunting eBay and VegSource dot com that used MFW curriculum really holds its value. I’m still going to use the A.C.E. 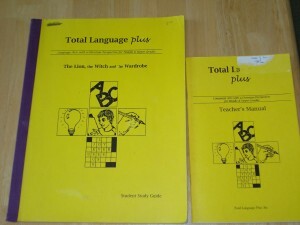 workbooks for Emme and Cailey for Math, English, and Word Building (Spelling). I really did like the way it was set up, and while they are working independently, I can focus on Jensen with MFW Kindergarten. Then I can bring them all together for Bible, Geography/History, Art/Music, and Science. I love the books that come with the curriculum, and Emme has already squirreled a few away in her room for reading. This method should take us up to the lunch hour, and after that we’ll have quiet independent reading, and Mavis Beacon Typing for Kids computer lessons interspersed through the afternoon. While I lay face down in the carpet quietly crying. On top of that add Awana, American Heritage Girls Scouting, Field Trips to Disney World, Friday park day with their homeschool group, and I think we’ll have a nice full schedule. Hand me the bottle of Excedrin. I’m still going to use the Workbox System for much of their subject work (especially for A.C.E.) and I’ll add drawers for MFW daily worksheets and maps. From what I can tell, I’ll simply need to review the weeks lesson plan a week or two in advance so that I can make sure I have needed library books available and any extra supplies. They really do a good job of laying out each weeks work. I’m hoping to keep to our same 4 day work week, using Friday as a Park Day/Field Trip, catch-up day. We homeschool year round. Sort of. I start in mid-July, and we have four 9-week quarters. We take 2 weeks off in the Fall and again in the Spring in between quarters, and we take all of December off. Each child will have a crate with hanging files so that I can keep track of any items they need individually (worksheets, books, etc.). And they’ll each have their 7 drawer Work Boxes. I have a 3-drawer box for Jensen and I’ll think I can get away with that for this year, at least. As far as supplemental computer work, I’ll be using Big IQ Kids for the girls again. I’ve been using them to re-enforce Spelling, Math, and will be using U.S. Geography more this year. I found them when Emme was in the 1st grade, and I’ve used their site ever since. It’s geared to kids 1st through the 5th grade, and you can modify the lesson plans to coincide with your own curriculum. 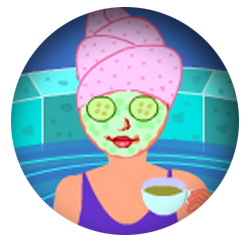 I’ve become on-line friends with the owner and I proudly advertise them on my left sidebar. They usually let me host a year subscription give-away each summer, and I hope I can do that again this year! As far as for literature and creative writing, I’m going to chose 3 or 4 really good books for the year that go with the Total Language Plus Student Study Guide (I found this used), and use that with my girls for reading comprehension. We’re going to start with The Lion, the Witch and the Wardrobe. I’ll be reading it to them, so that Jensen can enjoy it. Also, I recommend a free site for homeschooling printables, Donna Young. 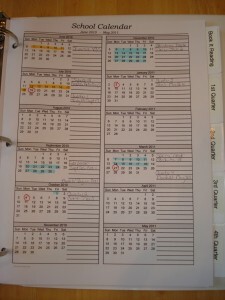 I’ve been putting together my own homeschooling planner/journal using her pages for years. I also print out her school year calendar to figure out our dates for the year. This is an unbelievable resource you can use to modify your own homeschooling journal to suit your style of record keeping. I can spend HOURS there looking at all she has available. She has such a heart for homeschoolers. I’m still setting up my journal, but these are the pages (shown above) I’ll be using this school year, so that I can keep copious notes about what all 3 kids are doing. I divide it into 4 sections for each quarter, with an extra tab for our Pizza Hut BOOK-IT! reading lists. And btw, BOOK-IT! is accepting on-line submissions for homeschooling families through June 30. It’s a great opportunity to encourage the love of reading AND FREE PIZZA as incentive. Woot! Now, it’s your turn. 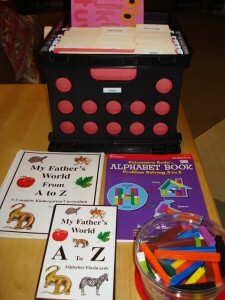 I love hearing about what other homeschooling families are using for their school year! Write a post on your own blog, and link up to Mr. Linky below. 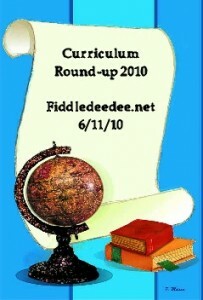 Be sure to use the specific URL for your Curriculum Round-Up post. Also, in your post, link back to this post so everyone else can join in on the fun. Also, if you don’t have a blog, please feel to use the comments section on this post to tell us about your homeschooling plans! I’ll keep Mr. Linky open through the middle of next week, so you can be late to the party if you want. You know homeschoolers. It’s hard to pin us down to a timetable!! Awwww, phooey! You weren’s supposed to go into the paperwork of it all! 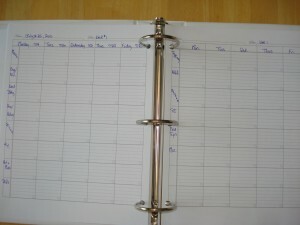 I wanted to host one (the homeschooler’s paperwork trail). I’ll be finishing up my curricula post today. . . well, hopefully. Praying for a speedy and effective knee recovery. I haven’t grown up enough yet to do the workbox system. But I have goals. And one day, I’ll be a big girl for this. Yours is motivation. And I love that Donna Young lady too. She has been a lifesaver every year. God bless you all! I can handle curriculum and planning for my PreK class I teach every school year (in a Christian school), but the thought of homeschooling my own 3 kids sends me into a panic. It was not the right choice for OUR family. I think you have AMAZING organizational skills! We love Teaching textbooks for math! My 10 yr old, Leah, used it last year and loves the independent work and instruction on computer. (I like it too because I don’t have to teach or grade it…only when she has a problem do I listen to the lecture and explain it again to her. We actually read Usborn, DK and other learning books from the library and our own home library that include science and Geography. I did buy Trail Guide to World Geography and can’t wait to use it with the age appropriate atlas and cd-rom printables. I will also be using a World Countries Cookbook for Kids by Usborn. (I think my soon to be 6 yr old will love listening to this too) When it comes to history- I try to find living books we can read that will introduce the subject in an interesting way. I think it makes it easier because my oldest likes to read. My soon to be 6yr old and my soon to be 4 yr old may try Five In A Row if I can get it ordered in a timely manner. The 6 yr old is already reading- so we will just continue phonics workbook pages, math concepts and journaling with art. Draw, Write, Now is great for teaching both. I may incorporate this at a younger level. My 10 yr old loves the art portion of the Draw, Write, Now and can expand her writing more on the subject. Education City is a learning website which I may look into this year for both elementary students because they both enjoyed it’s format. It teaches math, science and language. We tried Dreambox Learning last year for math concepts on computer and may try it again this year. I tend to be somewhat organized but love to do sporadic learning with my kids when the situation arises. I had to miss the Homeschool Convention once again. When and where is this big used curriculum sale? Has it already taken place? Thanks! You sound like you’re the kind of homeschool mom I was 😀 Reluctant is a great word for it. lol If there had been any truly viable options besides homeschooling, I would have taken it! But I have to say, when we finished 19 years after starting, I missed it. Go figure! hahahaha It really fit our family’s lifestyle so well, and allowed us to do things we could not have done otherwise. I think especially of the traveling we managed to do over the years. And the time with our kids is so precious. I AM SO GLAD WE HOMESCHOOLED. It was never easy, and often not very fun, but always, always, ALWAYS worth it. Both my kids enjoyed the experience so much they both plan to homeschool when they have kids of their own. Sounds like you’re set for a great school year. Praying for your knee. There is a book called “ROAR” about C.S. Lewis and L,W, and the W. You might want to check it out for your literature/creative writing for two reasons…it has interesting facts and you can buy it for only $.99! at CBD. Yep, under a dollar. I haven’t read it yet, but after skimming, it looks good. Praying for you and your fam! I totally planned on doing the round-up, but have been super-busy! How you get it done while under the knife is beyond me! I got giddy just looking at your stuff so neatly laid out. You will have such a fun year! If you can, pick books for your literature, creative writing from the reading list in the back of the ECC teacher’s manual. Some of my girl’s faves were 100 Dresses, Twenty-One Balloons, King of the Wind and Mr. Popper’s Penguins. There is so much potential for reading in ECC. My girls were devouring books! Have a fun year. I think I want to know more about this nine week schedule thing. Being that it is 100 degrees in Hotlanta, school actually sounds like a vacation right about now, lol.